High Peaks Pure Earth presents the Winter 2018 Reading List! 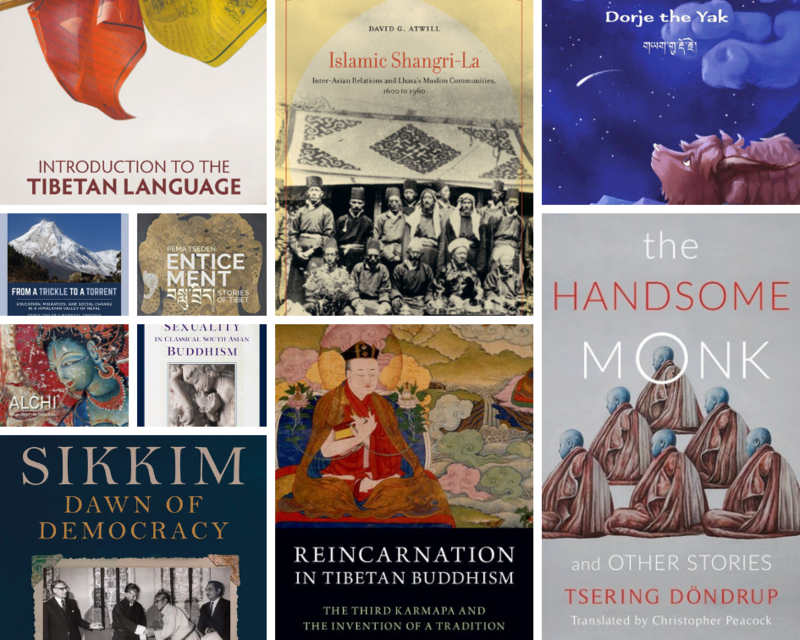 We’ve updated the previous Summer Reading List to include 17 more titles covering the span of the entire Tibetan Buddhist world. Please note the reading list is best viewed on your computer’s browser, each link opens in a new tab. Alternatively, see all the titles on Amazon in one place here. Readers may notice that some of the books are not especially new. It could be that we sometimes miss book releases or they only come to our attention much later, as was the case with some titles in this list. Therefore if you think we’ve missed anything or if you have a particular recommendation please feel free to get in touch with us, it’s impossible for us to keep track of all Tibet-related publications! You’re also welcome as always to write your own short reviews in the comments. We’ve added the following 17 books (in no particular order) to the existing reading list. “The Handsome Monk and Other Stories” By Tsering Döndrup. Translated by Christopher Peacock. The next reading list will be out in Summer 2019. Happy reading till then!